This vector image was created with Inkscape by SKopp, and then manually edited by Achim1999. 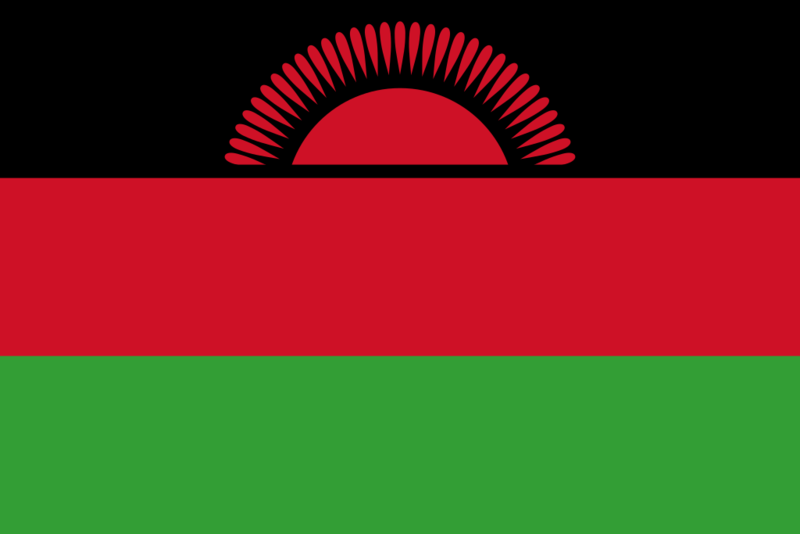 For the previous short lived one: Flag of Malawi (2010-2012).svg: . 30. toukokuuta 2012 kello 07.20 900 × 600 (1 KiB) Zscout370 Scaling issues (with the stripes) and took out the code for black (since a blank color is black by default). 10. heinäkuuta 2011 kello 03.12 900 × 600 (1 KiB) Phlegmatic Fixed sunrays to comply with official specifications (http://flagspot.net/flags/mw.html#specs); made code more concise. 7. elokuuta 2010 kello 05.15 450 × 300 (13 KiB) Zscout370 Here is the overhaul I promised.